Ol’ Pete, founded by Peter Collins started making jerky our of necessity. 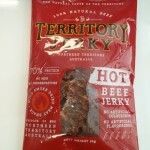 Pete was not fond of the current jerky on the market and set out to create his own brand of quality beef jerky in Australia. With a lot of experimentation, Pete developed a Jerky with a taste he was proud of and the rest is history. 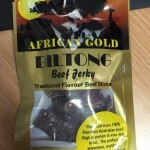 Today Ol’ Pete’s Beef Jerky has 4 flavours of Beef Jerky to choose from with distributors all across Australia. 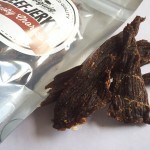 If you can’t find Ol’ Pete’s Jerky near you, then you can always purchase from their online store. All Ol’ Pete’s Beef Jerky is Gluten Free and contains no artificial flavours, colours or preservatives, making it the ideal healthy snack.